We service all major brands and models of desktops, laptops and servers! Same day, evenings, and weekends Available! Our highly-trained staff will provide professional, high-quality computer diagnostics, service and repair at affordable rates in the comfort and convenience of your business or residential location. Need repair, service or maintenance at your home or business? We offer a full range of computer diagnostics, repair services and solutions for your business or home. Virus removal, wireless networking, business networks and routing, PC upgrades, System Tune-ups, Computer troubleshooting and more. 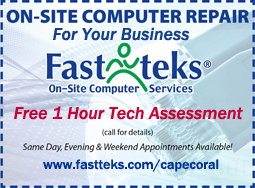 All Fast-teks technicians are highly trained and certified in their area of expertise. In addition, each member of our team undergoes an extensive background and reference check. All technicians have more than 2 years field experience. We only hire the best. Simply give us a call and we can have a trained technician out to your business or residence in no time, no more 3 hour arrival windows. 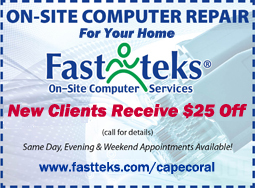 Fast-teks offers same-day, weekend and evening appointments at no additional cost! No need to disconnect your computer...We come to you! We offer cost effective computer repair solutions at reasonable rates. Call today and first time clients will receive $25.00 off your first hour of service! 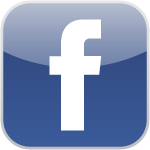 We service Cape Coral, Fort Myers, Estero, Bonita Springs, North Naples and surrounding areas. We never charge trip charges for service within Cape Coral or Fort Myers and your satisfaction is guaranteed! Our Mission Statement: By using our experience, skills, and our personal and professional ethics, we will help small businesses to achieve their own organizational goals and objectives while we support their computer systems which will enable them to concentrate on growing their business without spending excess resources on their IT systems.